History is only one lens through which we can view the story of the human endeavor. There is also science, religion, philosophy, art, and magic – all of which Egypt melded into a metaphysical technology that we call Sacred Science. The monumental aspects of Egypt – temples, tombs, and pyramids – reflect the profound wisdom of this elusive tradition. The Sacred Egypt program gives focus to this dimension of Egypt, offering more than a glimpse into the esoteric themes that the ancient structures and relics depict. We also recognize the depth of personal experience that can be gained from taking such an approach, and strive to make that a positive, valuable memory for all of our members. How are Our Journeys Different? 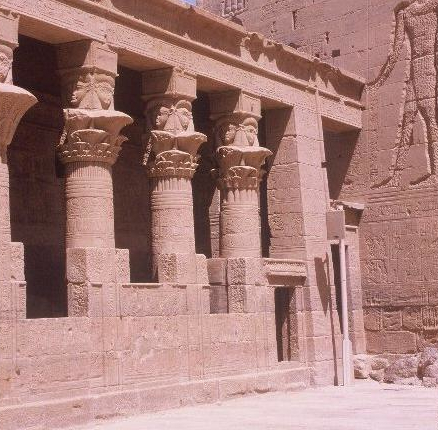 You may want to know what distinguishes our program from the many Egypt tours available today and that is an essential point – ours is not a tour, it is a spiritual expedition. 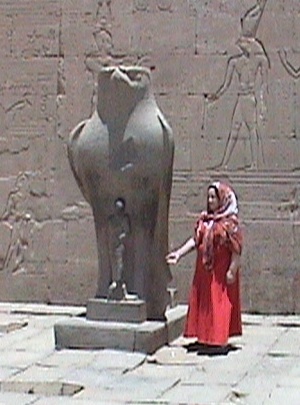 A review of the usual offerings makes it obvious that the travel agency itineraries are identical – two days rushed through the Egyptian Museum and pyramids with camel rides, a packed flight to Upper Egypt with a half day at the major sites, then board a Nile cruise and stop at each temple for an hour. No time to swim in the 5-star hotel pool, and shopping choices are at the discretion of the guides. For many, it's a ten-day obstacle course of hype and incompetence. We avoid the Nile cruise ships because they add to the continuing pollution of the Nile and they forbid passengers the freedom to explore, sample the local cuisine, patronize the artists at each locale, or linger at the monuments. We do not wish our members to be dragged to tourist shops that add commissions to their prices, instead we work with businesses we know very well – for more than twenty-five years! We choose hotels with a proven record of good service and value, and our Egyptian guides know our program and particulars very well. Ours is an excursion into the past, traveling away from the crowds, reserving time to meditate, reflect, and recreate the ancient ceremonies at the sacred places. We know when to arrive at our destinations at the optimum times, where the unique features can be found and how personal experience is heightened. And you are never locked into a set itinerary – we offer a number of options at each city and site, more than enough to satisfy sojourner and adventurer alike. Members of our Sacred Egypt Expeditions enjoy many distinctive advantages. 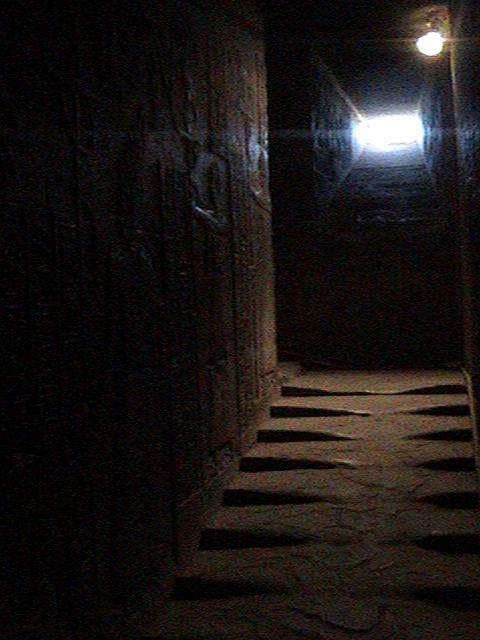 We provide comfortable accommodations, competent Egyptian assistants, and reserved, extended time at each visit to experience the unique art, architecture, and ambiance of ancient Egypt. Our members are not shuttled with other groups for quick stops and noisy lectures at sacred sites, and ours is not a typical, pre-programmed tourist itinerary. Most importantly, our metaphysical program is unlike any other, anywhere. Our members may choose to participate in and experience the performance of authentic Egyptian ceremonies... at the places and the times prescribed in the ancient canon. These things alone will differentiate your journey from other group excursions. But there are additional opportunities that have been designed and are reserved for our members alone. When you arrive at the ancient sites, the subtle world of the sacred can become accessible, and the ancient mysteries need no longer remain enigmas. You will hear the mystic chants, recite the traditional hymns, and partake in the presentation of offerings – all within the walls of the sacred places where these observances were performed for thousands of years. Our program's extended fourteen days recreates the Osirian journey of a true initiate's renewal and rejuvenation. This journey of a lifetime offers the experiences of a lifetime. (*) Those booking their own flights must arrive when the program begins and depart when the program concludes or be responsible for additional hotel and transfer charges. 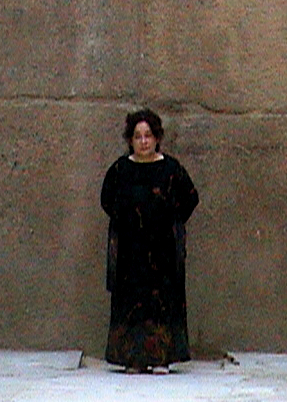 Our airline ticketing agent can also book your flights to connect with the group on departure from the U.S.
A lifetime of reverence for the Egyptian esoteric tradition combined with detailed scholarship and firsthand knowledge of the ancient sites enables Rosemary Clark to share a repertoire of skills that are unique in the world of travel. 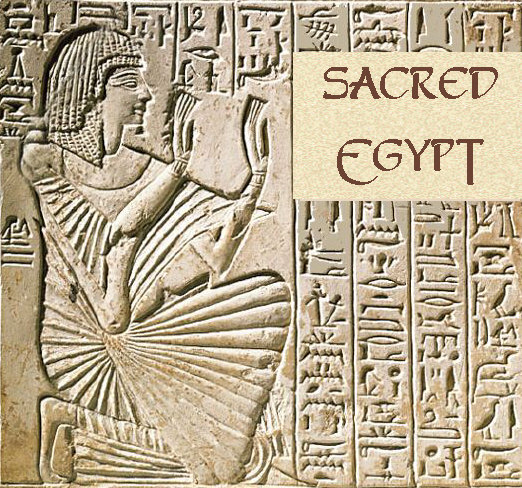 She has authored The Sacred Tradition in Ancient Egypt: The Esoteric Wisdom Revealed and its sequel The Sacred Magic of Ancient Egypt: The Spiritual Practice Restored, and illustrated The Traveler's Key to Ancient Egypt. With this expertise, your Sacred Egypt journey features a carefully designed program that provides its members with a truly spiritual experience of Egypt. As you are accompanied though the temples, tombs, and pyramids of our itinerary, sources of distinctive power reveal themselves. When you view ancient inscriptions, the enigmatic hieroglyphic script is translated into profound meanings. And when you enter the mystic sanctuaries, the ancient ceremonies come alive with the sounds, gestures, and attitudes that convey the Egyptian wisdom in all of its breathtaking vitality. Our programs are all-inclusive: round-trip coach class by air Washington, DC – Cairo, Egypt; 4-star hotel accommodations, First class sleeper train to and from Upper Egypt, transfers, taxes, visa, breakfast & dinner each day (lunch is usually en route or picnic). You are only responsible for tipping, shopping, and personal expenses. After registration, our newsletters will cover all contigencies for travel to Egypt with cultural notes. On arrival in Egypt, a convocation is held outlining the travel plan and ceremonial program. A keepsake guide with maps and reserved liturgy is also given to each member. • You must have a valid passport that is good for at least six months following your Egypt expedition. Expedition price includes travel visa, issued on arrival in Egypt. © 2013-17 Temple Harakhte, Inc.